According to sources close to Rickson and Kron Gracie, in the next few days, Rickson will officially announce his latest project: a new Jiu-Jitsu federation. Rickson Gracie’s new federation would rival the other two major BJJ federations: The IBJJF (presided by Carlos Gracie Jr) and the UAEJJ (which organizes the World Pro and is in a coalition with the IJF). The sources have indicated that the new federation will be open to all: IBJJF, NAGA, ADCC competitors etc and will be a platform for the major BJJ athletes today. There will also be self defense programs. The new federation’s website is expected to be launched on July 20th, 2014. In past interviews, Rickson has talked about how he didn’t like the current sport rules of BJJ where many competitors are stalling, playing for points and advantages. He also feels that the ‘modern’ sport specific techniques are not applicable in a real life fighting situation. 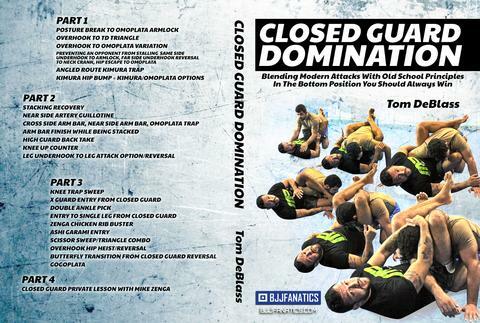 We could expect a new set of rules which favor an attacking and less strategic Jiu-Jitsu. 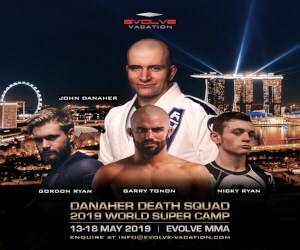 Something similar to his past venture, the ‘Budo Challenge’ (see more below) which gave extra point for submission attempts and negative points for guard pulls. 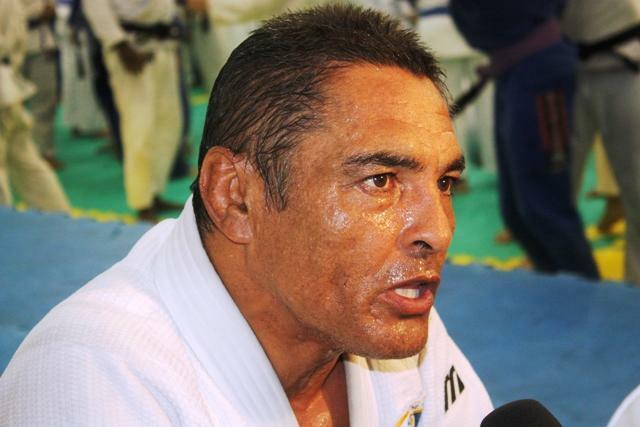 Rickson Gracie had said that the Budo Challenge was a very important milestone in his life. It was created in an effort to bring gi fighting to a much larger audience, and was designed to attract a larger fan base. Secondly, it was to provide an opportunity for gi competitors to earn both a decent living through gi style competition alone and to provide them with the “dignity, honor, and respect they deserve” (a theme he would often repeat throughout the days of production and backstage). 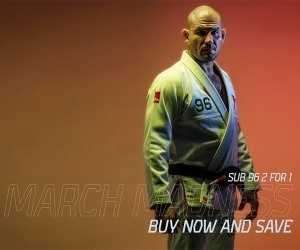 Finally it was his intention to bring the sport back to it`s essence by encouraging competitors (and thus all practitioners) to bring the submission back to the sport, as opposed to searching for ways to win within the rules. The Budo challenge was similar to Metamoris as it was filmed in front of a live audience at the Olympic center on October 19th 2005. It featured 6 weight divisions with the world’s best Gi competitors. Unfortunately, there was to be only one edition of the Budo Challenge. Rickson, together with his student Taka Watanabe, has also founded his own federation in Japan, the Jiu-Jitsu Federation of Japan (JJFJ). 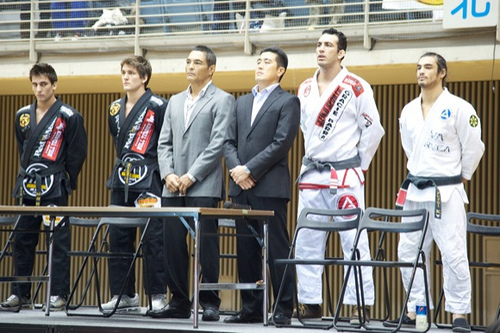 The federation organizes the yearly Rickson Cup in Japan. They use an almost identical rule set as the IBJJF. We just started in March 2008. The story of the federation is that in 97 I opened the first official Jiu-Jitsu academy in Japan. And in the same year, I started the Brazilian Jiu-Jitsu Federation of Japan. BJJFJ. And in 99, I had some problems with Carlos Gracie Jr. (Carlinhos). Nothing to do with the federation but with the academy. Because I opened the academy as an affiliation of his academy. We had a personal problem. I don’t want to say details. What happened is that I wanted to quit the federation. So he knew another person from Japan, Yuki Nakai that was the only Japanese guy Carlinhos knew in Japan besides me. The federation was mine. It was up to me to give up the name. He could start a new one but I had already the federation. But I had a really good relationship with Nakai too. Nakai came to me saying what are we going to do about the federation? I told him to please use the name and the logo that I created. Everything, the database, I passed everything to him. That was in 99. That other federation I started. I did it for two years. I was the president then I passed it to Nakai. Things kept going on until last year when they put in some changes some stuff that wasn’t good, wasn’t a good job. Then I thought about starting a new federation. I asked Rickson what he thought about it. He said he’d back me up. Stay tune to BJJ Eastern Europe as we will bring to you the latest information as soon as we receive it.